When looking to add a new, decorative walkway or patio to your property there are generally two options most people consider between. Those options are stamped concrete and concrete pavers. Here are some things to consider when choosing between the two. 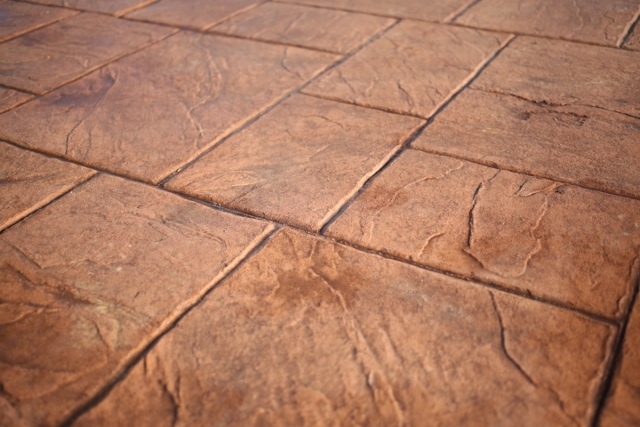 COST – Stamped concrete is less expensive than concrete pavers. MAINTENANCE – Stamped concrete will have less maintenance than pavers. Pavers may get weeds and individually shift or sink in some areas that may require yearly maintenance depending on severity of each. Some pavers require a sealer to help from colors fading. Stamped concrete only requires a coat of sealer every few years to protect it from fading and weakening. Adding sealer to colored concrete will protect the color from fading. LONGEVITY – If maintained properly both concrete pavers and stamped concrete can last a long time. 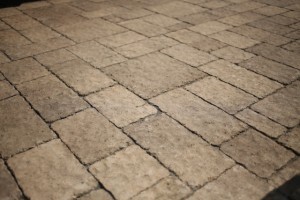 Stamped concrete will eventually crack but sometimes the cracks are unnoticeable or go right through or directly to the joint lines that are saw cut into the concrete at the time of installation. Pavers may fade over time and show aggregate. They could crack as well, however it is not common and it is easy to replace an individual paver. 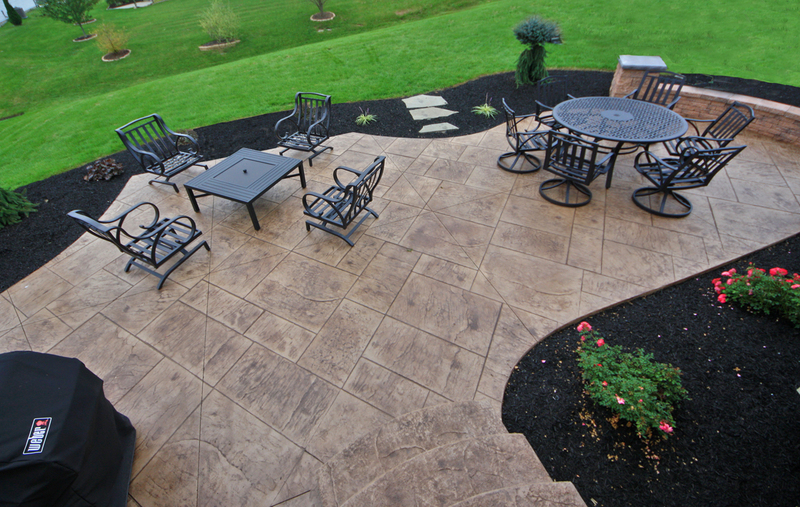 VERSATILITY – Both stamped concrete and concrete pavers can give you a vast amount of color and patterns. Stamped concrete can be more versatile for color selection where pavers can be individually placed in more patterns. 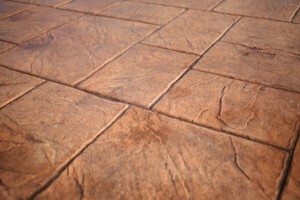 Stamped concrete will give you a texture that most pavers will not. The texture along with using two or three colors will give your patio or walkway your own unique look. Whether using stamped concrete or concrete pavers, select a color and pattern that will be compatible with existing materials and colors.